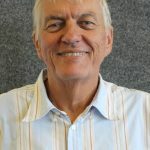 In 1981 Thomas van den Oever, Printech founder and director had the futuristic vision of a market to sell alternative to new machinery in South Africa. He established a factory that imported used Heidelberg printing presses and rebuilt them to an as-new condition. He then supplied these rebuilt presses to the local market at a more affordable price. Within five years Printech became a formidable force in the printing industry, proving that a rebuilt press could perform as efficiently, last as long and produce the same quality as a new press and ensure substantial cost saving. 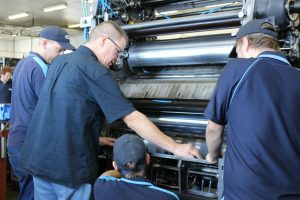 Building on the success of rebuilt printing presses, Printech followed through by securing new equipment agencies, for example KBA and Wholenberg, and adding new and second hand bindery equipment with great success to the product range. 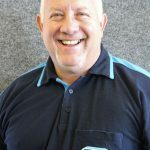 After completion of his trade test and working as service engineer for EAC Graphics, agents for Heidelberg AG, Thomas discovered a niche in the market to sell alternative to new printing machinery in South Africa, subsequently founding Printech in 1981. Sale of new KBA presses. Sale of new and used bindery equipment. 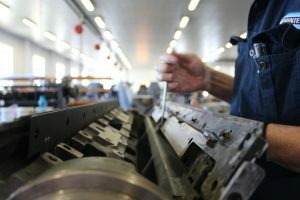 Sale of rebuilt Heidelberg and KBA presses. Sale of consumables and spare parts. Servicing and repairs of printing equipment. Over 20 years financial management experience gained in Financial Services, FMCG and Engineering industries both in South Africa and the UK. Richard qualified as a chartered management accountant (CIMA) in 2003 whilst working in London. 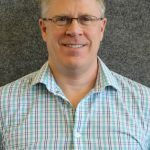 Richard joined Printech in April 2016 as the Financial Manager and was appointed as a Director on 1 December 2016. Mario qualified as a Printer’s Engineer in 1989 with CTP Printers, where he spent 8 years as an ‘in-house’ engineer focusing on bindery equipment and specializing in Litho and web machines. Mario joined Printech in 1995 and is responsible for managing the service team of engineers, Mario has had extensive training in Germany on various machines with the specific focus on installations and servicing of different models. Mario was appointed as a Director on 1 December 2016. 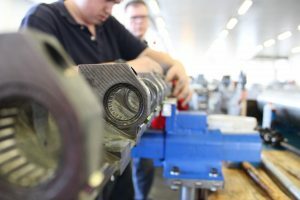 “At Printech we have a well established training program. 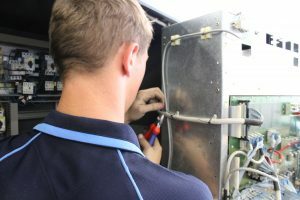 Printech offers apprenticeships in the electrical and mechanical field, leaving our apprentices as qualified Printer’s Electricians or Printer’s Mechanics. Our workshop is well equipped and ideal for training. 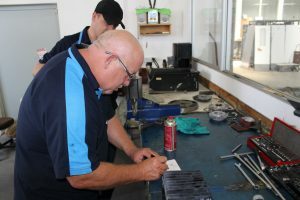 Here we can dismantle entire machines down to the base and then rebuild them with the help of the apprentices.As our apprentices take part in the rebuilding process they gather a lot of knowledge about the machines and they are able to build the machines up to KBA and Heidelberg specifications. 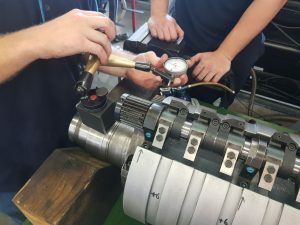 Our apprentices are also involved in hands on problem solving which also assist in the constant learning and improving phase.Whilst doing their apprenticeship, Printech sends our apprentices to college where after they are qualified they get placed into our different branches.